Irvine, as all of the cities in Orange County, was affected by the real estate bubble and currently has a wave of available foreclosures listed for sale. Irvine Bank Foreclosures refers to those properties where the Bank has already taken possession from the owner who couldn't do the mortgage payments and it's free of liens. Irvine as many areas in Orange County, also had a new construction boom during the real estate bubble, with many new neighborhoods with homes bought with little to no downpayment at all, and those areas were negatively affected even worse when it crashed. Nonetheless, Irvine continues to expand and the many jobs and top rated school make it an ideal place for many home buyers who don't wish to commute or like the ideal location close to airports and the beach. Buying a Irvine bank owned Foreclosure, can a better idea than trying to purchase it through the short sale process, as the short sale process if not previously approves, is lengthier and in many cases, with many surprise charges and fees. Also since there's a lot of competition for these type of purchases, experienced representation it's ideal to make sure what you are getting when buying a bank foreclosure in Irvine is in fact, a fair price. Search for all available foreclosures currently listed for sale in the MLS in Irvine. If you need more information, a showing or have any questions on any of these homes, please contact us at (949) 888-6788 or contact us via email. Read more about the REO homes in Irvine, or for searching all other homes in Irvine, visit our page for Irvine Real Estate. REO (Real Estate Owned) homes in Irvine and it all Orange County are very popular and in high demand. Because timing is of the essence in these type of transactions, as they are always 'waited for', a good idea is to sign up for our daily email updates on homes of your preference, so we can alert you when a Bank Owned Foreclosure in Laguna Beach becomes available. When a bank owns the property, it will handle any evictions, and may even do some repairs before listing the property for sale. The banks remove the tax liens and pay off any HOA dues if existent. When a buyer purchases a REO, the owner receives a title insurance policy and the opportunity to investigate the property. There's a chance that these bank owned properties might not be a great bargain. Do your homework before making an offer. Make sure that the price you pay (if you’re successful) is comparable to other homes in the neighborhood. Consider the costs of renovation, and be careful with over bidding and pay over market value. For the most part , in Orange County when a REO becomes available, there's multiple offers on the home, so the highest and best offer will be submitted by the listing agent to the bank. There's no waiting around like in short sales, as the price has been already approved and in the majority of the cases, is a short escrow. REO's and some standard sales are the best bets for those buyers looking for a quick escrow and to move into the property fast. 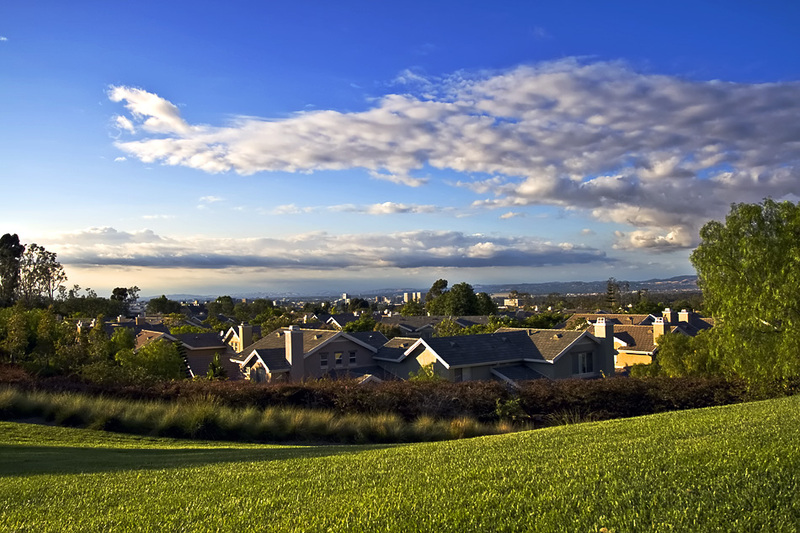 OCExecutives specializes in real estate transactions in Irvine, California. Contact us today to sell real estate or buy real estate in the Irvine communities or for more information. If you would like to see a list of homes in other communities in Orange County, follow the links above, or click here for our main Irvine Real Estate section.